Flight of fancy? Or hard fact? Blatant lie? Or home truth? From smartphones to artificial intelligence, ‘next generation’ cities to electric vehicles we live in an age where the almost magical science fiction tropes of yesteryear have become today’s science fact. Meanwhile, deep social and demographic change continues to both buffet and boost markets. Now, more than ever, we need to grapple with these trends to understand their power to reshape lives. 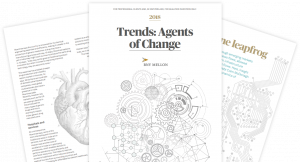 Here, experts from across BNY Mellon look to the future and give their views on how the coming Agents of Change could affect markets and the investment landscape in the years to come. How much do you know about our Agents of Change? Click on the tiles below to learn how our future could be transformed. What country is expected to be the top beneficiary of AI? What is the expected portion of global middle class living in Asia by 2030 ? What is the expected growth (in %) in the number of diabetics in India by 2040? What is the annual cost of congestion in the U.S.? What are the top 3 countries by average time spent on apps? What could be the impact of a full-blown global trade war on global GDP? What % of treated water is lost due to lack of infrastructure renewal in the US? In a world in flux it pays to be well informed. Articles, infographics or podcasts: Access additional content to learn more about the Agents of Change. The Doomsday clock reads two minutes to midnight. What does this mean for the markets? Is investing in luxury goods the key to accessing global growth? How might history's longest bull run play out? 5 Roland Berger, McKinsey as at January 2013. 7 What’s the real value of AI for your business and how can you capitalise?